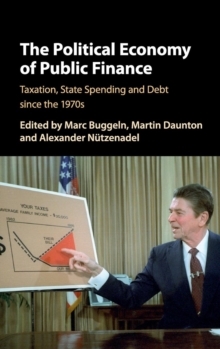 This volume examines the major trends in public finance in developed capitalist countries since the oil crisis of 1973. That year's oil shock quickly became an economic crisis, putting an end to a period of very high growth rates and an era of easy finance. Tax protests and growing welfare costs often led to rising debt levels. The change to floating exchange rates put more power in the hand of markets, which corresponded with a growing influence of neo-liberal thinking. These developments placed state finances under considerable pressure, and leading scholars here examine how the wealthiest OECD countries responded to these challenges and the consequences for the distribution of wealth between the rich and the poor. As the case studies here make clear, there was no simple 'race to the bottom' in taxation and welfare spending: different countries opted for different solutions that reflected their political and economic structures.